Welcome back! It’s a new season, and like Donegal and Mayo we’re shaking it up to make an even bigger impact on the Championship this year! GAA Scores have joined up with Gaelic Life to bring unrivalled Ulster GAA coverage to the airwaves. 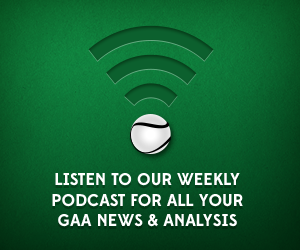 The show is hosted by GAA Scores’ Conor Donnelly, alongside Ronan Scott, Niall McCoy and Ciaran Woods of Gaelic Life. Topics in this show include Joe Brolly’s trip to Kerry, Tyrone’s situation as well as Rossa and Slaughtneil’s All-Ireland dreams. In addition to that we look ahead to the Ulster contingent’s NHL openers from Antrim to Donegal.